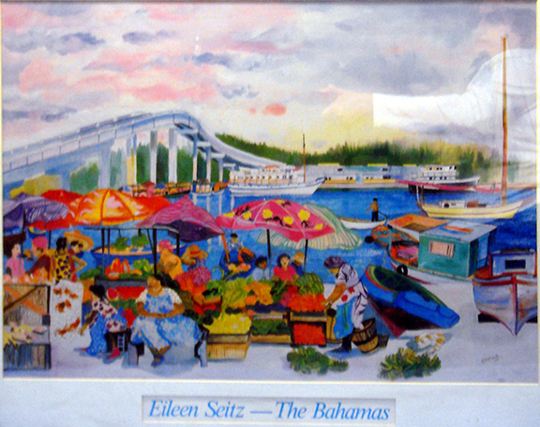 I saw this from the market place on Nassau and the bridge goes over to Paradise Island. What I loved was the old wooden mail boats that would go up and down the islands carrying mail and other things to the outer islands. Previous Previous post: Commissioned paintings – Gestalt House, Tortola B.V.I.